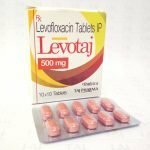 The full name of this medicine is Levofloxacin 250mg and 500mg Tablets but within the leaflet it will be referred to as Levofloxacin tablets. The name of your medicine is Levofloxacin tablets. 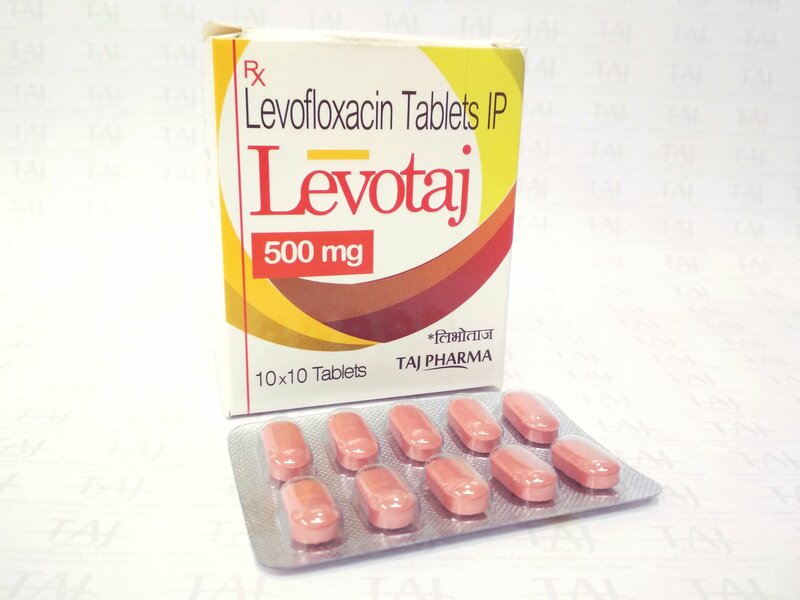 Levofloxacin tablets contain a medicine called levofloxacin. This belongs to a group of medicines called antibiotics. Levofloxacin is a ’quinolone” antibiotic. It works by killing the bacteria that cause infections in your body. skin and underneath the skin, including muscles. This is sometimes called “soft tissue”. In some special situations, Levofloxacin tablets may be used to lessen the chances of getting a pulmonary disease named anthrax or worsening of the disease after you are exposed to the bacteria causing anthrax. Do not take this medicine if any of the above applies to you. If you are not sure, talk to your doctor or pharmacist before taking Levofloxacin tablets. if you have ever had heart problems: caution should be taken when using this kind of medicine, if you were born with or have family history of prolonged QT interval (seen on ECG, electrical recording of the heart), have salt imbalance in the blood (especially low level of potassium or magnesium in the blood), have a very slow heart rhythm (called ‘bradycardia’), have a weak heart (heart failure), have a history of heart attack (myocardial infarction), you are female or elderly or you are taking other medicines that result in abnormal ECG changes (see section “Taking other medicines”). if you have myasthenia gravis. If you are not sure if any of the above applies to you, talk to your doctor or pharmacist before taking Levofloxacin tablets. Tell your doctor or pharmacist if you are taking, have recently taken or might take any other medicines. This is because Levofloxacin tablets can affect the way some other medicines work. Also some medicinces can affect the way Levofloxacin tablets works. Corticosteroids, sometimes called steroids – used for inflammation. You may be more likely to have inflammation and/or rupture of your tendons. Warfarin – used to thin the blood. You may be more likely to have a bleed. Your doctor may need to take regular blood tests to check how well your blood can clot. Probenecid – used for gout and cimetidine – used for ulcers and heartburn. Special care should be taken when taking either of these medicines with Levofloxacin tablets. If you have kidney problems, your doctor may want to give you a lower dose. Iron tablets (for anemia), zinc supplements, magnesium or aluminum-containing antacids (for acid or heartburn), didanosine, or sucralfate (for stomach ulcers). See section 3 “If you are already taking iron tablets, zinc supplements, antacids, didanosine or sucralfate” below. Urine tests may show ‘false-positive’ results for strong painkillers called ‘opiates’ in people taking Levofloxacin tablets. If your doctor has prescribed a urine test, tell your doctor you are taking Levofloxacin tablets. This medicine may cause “false negative” results for some tests used in laboratory to search for the bacteria causing tuberculosis. Do not take this medicine if you are pregnant or breast-feeding, think you may be pregnant or are planning to have a baby. You may get side effects after taking this medicine, including feeling dizzy, sleepy, a spinning feeling (vertigo) or changes to your eyesight. Some of these side effects can affect you being able to concentrate and your reaction speed. If this happens, do not drive or carry out any work that requires a high level of attention. 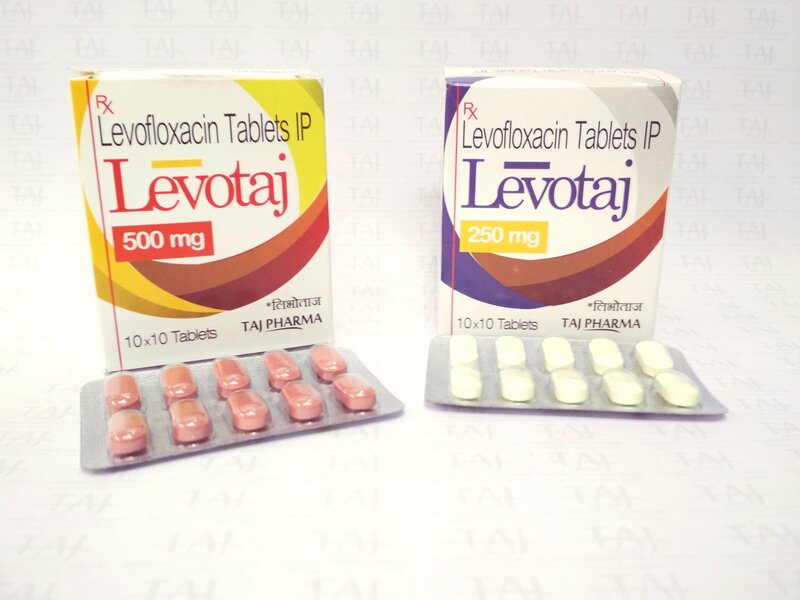 Levofloxacin tablets contains lactose monohydrate. If you have been told by your doctor that you have an intolerance to some sugars, contact your doctor before taking this medicinal product. Always take this medicine exactly as described in this leaflet or as your doctor has told you. Check with your doctor or pharmacist if you are not sure. Do not take these medicines at the same time as Levofloxacin tablets. Take your dose of these medicines at least 2 hours before or after Levofloxacin tablets. The dose will depend on the type of infection you have and where the infection is in your body. The length of your treatment will depend on how serious your infection is. If you feel the effect of your medicine is too weak or strong, do not change the dose yourself, but ask your doctor. Your doctor may need to give you a lower dose. This medicine must not be given to children or teenagers. If you accidentally take more tablets than you should, tell a doctor or get other medical advice straight away. Take the medicine pack with you. This is so the doctor knows what you have taken. The following effects may happen: convulsive fits (seizures), feeling confused, dizzy, less conscious, having tremor and heart problems – leading to uneven heart beats as well as feeling sick (nausea) or having stomach burning. If you forgot to take a dose, take it as soon as you remember unless it is nearly time for your next dose. Do not double-up the next dose to make up for the missed dose. Do not stop taking Levofloxacin Tablets just because you feel better. It is important that you complete the course of tablets that your doctor has prescribed for you. If you stop taking the tablets too soon, the infection may return, your condition may get worse or the bacteria may become resistant to the medicine. Like all medicines, this medicine can cause side effects, although not everybody gets them. These effects are normally mild or moderate and often disappear after a short time. If your eyesight becomes impaired or if you have any other eye disturbances whilst taking Levofloxacin tablets, consult an eye specialist immediately. Lowering of your blood sugar levels (hypoglycaemia). This is important for people that have diabetes. Muscle weakness. This is important in people with myasthenia gravis (a rare disease of the nervous system). Changes in the way your kidney works and occasional kidney failure which may be due to an allergic kidney reaction called interstitial nephritis. Fever, sore throat and a general feeling of being unwell that does not go away. This may be due to a lowering in the number of white blood cells (agranulocytosis). Increase of your blood sugar levels (hyperglycaemia) or lowering of your blood sugar levels leading to coma (hypoglycaemic coma). This is important for people that have diabetes. This medicine does not require any special storage conditions but it is best to keep Levofloxacin Tablets in the original strips and box in a dry place. Do not use this medicine after the expiry date which is stated on the carton and foil after EXP. The expiry date refers to the last day of the month. Do not throw away any medcines via wastewater or household waste. Ask your pharmacist how to to throw away medicines you no longer use. These measures will help protect the environment. The active ingredient is levofloxacin. Each 250mg film-coated tablet contains 250mg of levofloxacin equivalent to 256.23mg of levofloxacin hemihydrate. Each 500mg film-coated tablet contains 500mg of levofloxacin equivalent to 512.46mg of levofloxacin hemihydrate. For the tablet coating: Opadry II Pink (Lactose monohydrate, hypromellose 15 cP, titanium dioxide, triacetin, iron oxide red (E172), iron oxide yellow (E172)). Pink biconvex tablets, scored on one side and marked with “TAJ” on the other side. Approximately 13mm long and 6mm wide. The tablet can be divided into equal halves. Pink biconvex tablets, scored on one side and marked with “TAJ” on the other side. Approximately 16mm long and 8mm wide. The tablet can be divided into equal halves.